About a year ago, I switched from Firefox to Vivaldi. This week, I decided to get rid of Vivaldi and replaced with Google Chrome. In this post, I'm going to outline the reasons why I got rid of it. Before, I switched to Vivaldi because Firefox was dropping support for XUL/XPCOM extensions and I was using Pentadactyl. In fact, Pentadactyl was the only reason I was using Firefox. It was slow and bloated and a bit unstable, but the extension was making it worth. Since they are dropping support for such extensions, I did not want to use Firefox anymore. So I switched to Vivaldi with Vimium. It's not as great as Firefox plus Pentadactyl. But it's a more customizable version of Google Chrome on which it's based. But, in that year or so of using Vivaldi, I have had many issues. Some of them were not too bad and there was some workarounds. But they continued to pile up and they did not fix any of them so now, I decided it's too much. Since the beginning, it always has been slow. It's not really bad, but still noticeable compared to Chrome. Especially opening Vivaldi is pretty bad. This is something I can live with, but they should really do something to make it faster. The thing that I had the most issues with is multimedia. For instance Youtube (but all the other platforms have the same issues). The first problem with media is to get a video in fullscreen. Most of the time, when I press the fullscreen button on Youtube, it grays out the screen and I have to press ESC. If I do that around five to ten times, it finally goes fullscreen. It may be because of my multi-monitor setup but Google Chrome has no issues whatsoever with that. It's pretty painful to do, but again I could live for since I don't use full screen a lot. A second problem I had with media is they were running too fast. I'm not kidding, really too fast, not too slow. The media was running about twice too fast, you could see the seconds going fast on Youtube. I never seen this issue in any other tool, but it was happening at every start of Vivaldi. The fix was to restart Vivaldi every time this happened and the video played normally. Another problem I had from the beginning is to make all HTML5 videos work. You have to download the binary plugins from Chrome to let Vivaldi play all HTML5 videos. It's not a big deal, but the problem is that they are overwritten after each update of Vivaldi. So you have to do it all the time. With all these issues and especially the last two new problems, I decided it was time to cut the losses. So I reinstalled Google Chrome, transferred my plugins and everything worked like a charm. I still use Vimium to use vim bindings so my usage of the browser does not change. Of course, I don't have the customization that I had with Vivaldi. I would really really like to get rid of the address bar in the browser. I would also like to significantly reduce the size of the tab bar. But I prefer to live without these improvements than with so many bugs. I think Vivaldi is a good idea, but with a terrible implementation. I also considered qutebrowser as an alternative. But for now it's still missing many features that I don't want to get rid of. So I will stay with Google Chrome for the time being. What about you ? Do you have any experience with Vivaldi ? Just last week, I've migrated my Expression Templates Library (ETL) library to C++17, it is now also done in my Deep Learning Library (DLL) library. In ETL, this resulted in a much nicer code overall, but no real improvement in compilation time. The objective of the migration of DLL was two-fold. First, I also wanted to simplify some code, especially with if constexpr. But I also especially wanted to try to reduce the compilation time. In the past, I've already tried a few changes with C++17, with good results on the compilation of the entire test suite. While this is very good, this is not very representative of users of the library. Indeed, normally you'll have only one network in your source file not several. The new changes will especially help in the case of many networks, but less in the case of a single network per source file. This is really representative of what users can do with the library and I think it's a much better for compilation time. For reference, you can find the source code of all the examples online. The difference by just enabling c++17 is not significant. On the other hand, some significant gain can be obtained by using the C++17 version of ETL, especially for the DBN version and for the CNN versions. Except for the DBN case, the migration of DLL to C++17 did not bring any significant advantage. When everything is combined, the gains are more important :) In the best case, the example is 14.6% faster to compile. First of all, as I have seen time after time, clang is still slower than GCC. It's a not a big difference, but still significant. 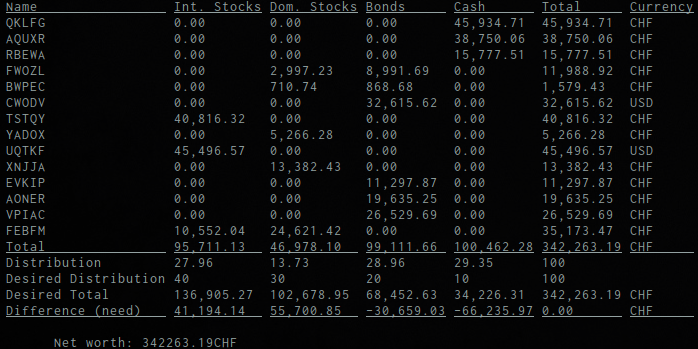 Overall, the gains are a bit higher on clang than on GCC, but not by much. Interestingly, the migration of DLL to C++17 is less interesting in terms of compilation time for clang. It seems even to slow down compilation on some examples. On the other hand, the migration of ETL is more important than on GCC. Overall, every example is faster to compile using both libraries in C++17, but we don't have spectacular speed-ups. With clang, we have speedups from 3.3% to 15.3%. With GCC, we have speedup from 1.1% to 14.6%. It's not very high, but I'm already satisfied with these results. Overall, the migration of DLL to C++17 was quite similar to that of ETL. You can take a look at my previous article if you want more details on C++17 features I've used. I was also thinking that I could replace a lot of meta-programming stuff with fold expressions. While I was able to replace a few of them, most of them were harder to replace with fold expressions. Indeed, the variadic pack is often hidden behind another class and therefore the pack is not directly usable from the network class or the group and merge layers classes. I didn't want to start a big refactoring just to use a C++17 feature, the current state of this code is fine. I made some use of structured bindings as well, but again not as much as I was thinking. In fact, a lot of time, I'm assigning the elements of a pair or tuple to existing variables not declaring new variables and unfortunately, you can only use structured bindings with auto declaration. The trunk of DLL is now a C++17 library :) I think this improve the quality of the code by a nice margin! Even though, there is still some work to be done to improve the code, especially for the DBN pretraining code, the quality is quite good now. Moreover, the switch to C++17 made the compilation of neural networks using the DLL library faster to compile, from 1.1% in the worst case to 15.3% in the best case! I don't know when I will release the next version of DLL, but it will take some time. I'll especially have to polish the RNN support and add a sequence to sequence loss before I will release the 1.1 version of DLL. I'm quite satisfied with C++17 even if I would have liked a bit more features to play with! I'm already a big fan of if constexpr, this can make the code much nicer and fold expressions are much more intuitive than their previous recursive template counterpart. I may also consider migrating some parts of the cpp-utils library, but if I do, it will only be through the use of conditionals in order not to break the other projects that are based on the library. I've finally decided to migrate my Expression Templates Library (ETL) project to C++17. I've talking about doing that for a long time and I've released several releases without doing the change, but the next version will be a C++17 library. The reason why I didn't want to rush the change was that this means the library needs a very recent compiler that may not be available to everybody. Indeed, after this change, the ETL library now needs at least GCC 7.1 or Clang 4.0. I've already made some previous experiments in the past. For instance, by using if constexpr, I've managed to speed up compilation by 38% and I've also written an article about the fold expressions introduced in C++17. But I haven't migrated a full library yet. This is now done with ETL. In this article, I'll try to give some example of improvements by using C++17. This will only cover the C++17 features I'm using in the updated ETL library, I won't cover all of the new C++17 features. The body of a discarded statement does not participate in return type deduction. I think this version is really superior to the previous one. We only have one function and the logic is much clearer! No more need for cpp_unused trick :) This attribute tells the compiler that a variable or parameter can be sometimes unused and therefore does not lead to a warning for it. Only one thing that is not great with this attribute is that it's too long, 16 characters. It almost double the width of my check function signature. Imagine if you have more parameters, you'll soon have to use several lines. I wish there was a way to set an attribute for all parameters together or a shortcut. I'm considering whether to use a short macro to use in place of it, but haven't yet decided. Just a note, if you have else if statements, you need to set them as constexpr as well! This was a bit weird for me, but you can figure it as if the condition is constexpr, then the if (or else if) is constexpr as well. Overall, I'm really satisfied with the new if constexpr ! This really makes the code much nicer in many cases, especially if you abuse metaprogramming like I do. You may remember that I've coded a version of static if in the past with C++14 in the past. This was able to solve point 2, but not point 1 and was much uglier. Now we have a good solution to it. I've replaced two of these in the current code with the new if constexpr. For me, fold expressions is the second major feature of C++17. I wont' go into too much details here, since I've already talked about fold expression in the past . But I'll show two examples of refactorings I've been able to do with this. This is much better! This clearly states that each value of the parameter should be multiplied together. For instance 1,2,3 will become (1*2)*3. I was using a nice trick here to test if all booleans are true. I don't remember where I picked it up, but it's quite nice and very fast to compile. As a note here, I'd like to mention, that you can also use this syntax to call a function on each argument that you have, which makes for much nicer syntax as well and I'll be using that in DLL once I migrate it to C++17. There are also a few more C++17 features that I've used to improve ETL, but that have a bit less impact. Now you can directly use auto to deduce the types of the three variables at once and you can get all the results in the variables at once as well :) I think this is really nice and can really profit some projects. In ETL, I've almost no use for this, but I'm going to be using that a bit more in DLL. It's just some syntactic sugar, but I think it's quite nice. If you declare an object of this type on the stack, you have the guarantee that it will be aligned on 128 bytes. However, if you use new to allocate it on the heap, you don't have such guarantee. Indeed, the problem is that 128 is greater than the maximum default alignment. This is called an over-aligned type. In such cases, the result will be aligned on the max alignment of your system. Since C++17, new supports aligned dynamic memory allocation of over-aligned types. Therefore, you can use a simple alignas to allocate dynamic over-aligned types :) I need this in ETL for matrices that need to be aligned for vectorized code. Before, I was using a larger array with some padding in order to find an aligned element inside, but that is not very nice, now the code is much better. I've done a few tests to see how much impact these news features have on compilation time. Here, I'm doing benchmark on compiling the entire test suite in different compilation mode, I enabled most compilation options (all GPU and BLAS options in order to make sure almost all of the library is compiled). Overall, I'm a bit disappointed by these results, it's around 3% slower to compile the C++17 version than the C++14 version. I was thinking that this would a least be as fast to compile as before. It seems that currently with G++ 7.2, if constexpr are slower to compile than the equivalent SFINAE functions. I didn't do individual benchmarks of all the features I've migrated, therefore, it may not be coming from if constexpr, but since it's the greatest change by far, it's the more likely candidate. Once I'll have a little more time, after my vacations, I'll try to see if that is also the case with clang. Keep in mind that we are compiling the test suite here. The ETL test suite is using the manual selection mode of the library in order to be able to test all the possible implementations of each operation. This makes a considerable difference in performance. I expect better compilation time when this is used in automatic selection mode (the default mode). In the default mode, a lot more code can be disabled with if constexpr. I will test this next with the DLL library which I will also migrate to C++17. This concludes this report on the migration of my ETL library from C++14 to C++17. Overall, I'm really satisfied with the improvement of the code, it's much better. I'm a bit disappointed by the slight increase (around 3%) in compilation time, but it's not dramatic either. I'm still hoping that once it's used in DLL, I will see a decrease in compilation, but we'll see that when I'll be done with the migration of DLL to C++17 which may take some time since I'll have two weeks vacation in China starting Friday. The new version is available only through the master branch. It will be released as the 1.3 version probably when I integrate some new features, but in itself will not be released as new version. You can take a look in the Github etl repository if you are interested. I'm happy to announce the release of budgetwarrior 1.0. This is a major change over the previous version. 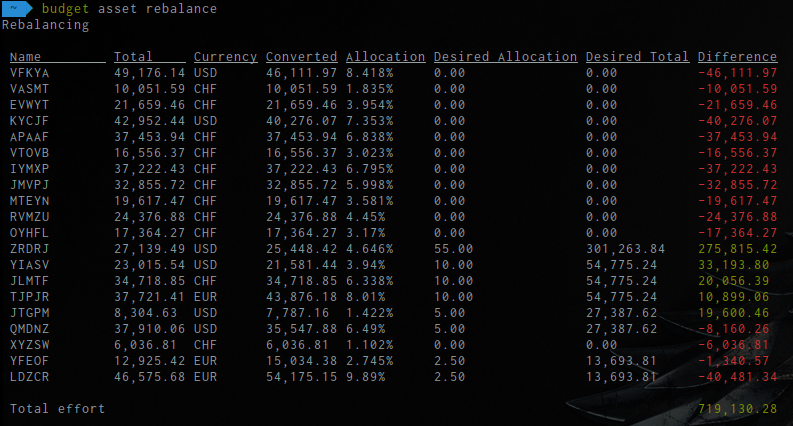 Therefore, I added support for a web interface for budgetwarrior. 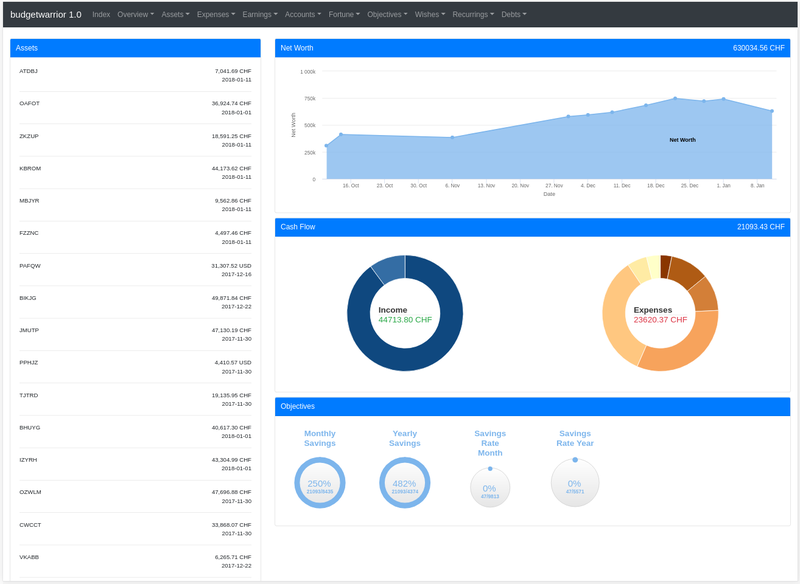 Every feature of the console application is now available in the web version. Moreover, since the web version offers slightly better graphical capabilities, I added a few more graphs and somewhat more information at some places. I'm not nearly an expert in web interface, but I think I managed to get something not too bad together. There are still some things to improve that I'll go through in the future but so far the web interface is pretty satisfying and it is mobile friendly! and the server will be launched (by default at localhost:8080). You can configure the port with server_port=X in the configuration file and the listen address with server_listen=X. You can access your server at http://localhost:8080. 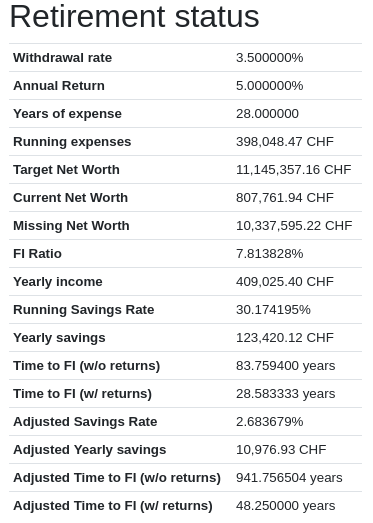 The main page shows your assets, the current net worth, your monthly cash-flow and the state of your objectives. The management is still the same, the server will write to the same file the base application uses. Therefore, you cannot use the server and the command line application on the same machine at the same time. Nevertheless, if the server is not running, you can still use the command line application. This could be useful if you want to use the web visualization while still using the command line tool for managing the budget. Currently, it does not protect against concurrent modifications of the same data. It is very unlikely to happen with only a few people using the applications, but I plan to improve that in the future. Although it's not possible to use both the server and the command line application at the same time, it's possible to use the command line application in server mode. In this case, instead of reading and writing the data from the hard disk, the application will send requests to the server to read and write the data it needs. With this, you can use both the server and the command line application at the same time! While running, the server exposes a simple API that can be used to get all the information about the budget data and that can also be used to add new expenses, earnings and so on directly to the server data. The API is also protected by authentication. Currently, the server does not support HTTPS. However, you can run it behind a proxy such as nginx which is running in HTTPS. This is what I'm doing. The server mode supports SSL from the client to the server, you just have to set server_sll=true in the configuration. This is the mode I'm currently using and will continue using. With this, I can quickly do some modifications using the command line and if I want to see advanced visualization, I just have to open my browser and everything is updated. Moreover, in the future, other people involved with my budget will be able to access the web interface. This also solves the synchronization problem in a much better way than before. Just as it was the case with the server, this is not made to be used in parallel by different users. This should be perfectly fine for a small household. All these features are now also available on the web version as well. A few months ago, I added some quality-of-life improvements to the console appplication. You can now cycle through the list of possible values for accounts for instance in the console! This is down with the UP and DOWN keys. Now, I also added auto-completion with TAB key. You can write Ins<TAB> and it will complete to Insurances if you have an Insurances account in your budget. This makes it much faster to enter new expenses or to update asset values. Overall, even though I'm not a fan of web development, it was quite fun to add all these features to budgetwarrior and made it much better I think. This is a very significant change to the project since it almost doubled in number of source lines of code, but I think it's a change that was needed. I think these changes really make budgetwarrior more useful to a wider group of people and I'm pretty to have finally come around and implemented them. I still have a few things I plan to improve in the near future. First, I want to make the website a bit faster, there are many scripts and stylesheets that are being loaded and make the site a bit bloated. I'll also enable gzip compression of the website to speed up things. I will also ensure that the server can handle requests concurrently without any problem of the data (should be simple since we don't need high performance). 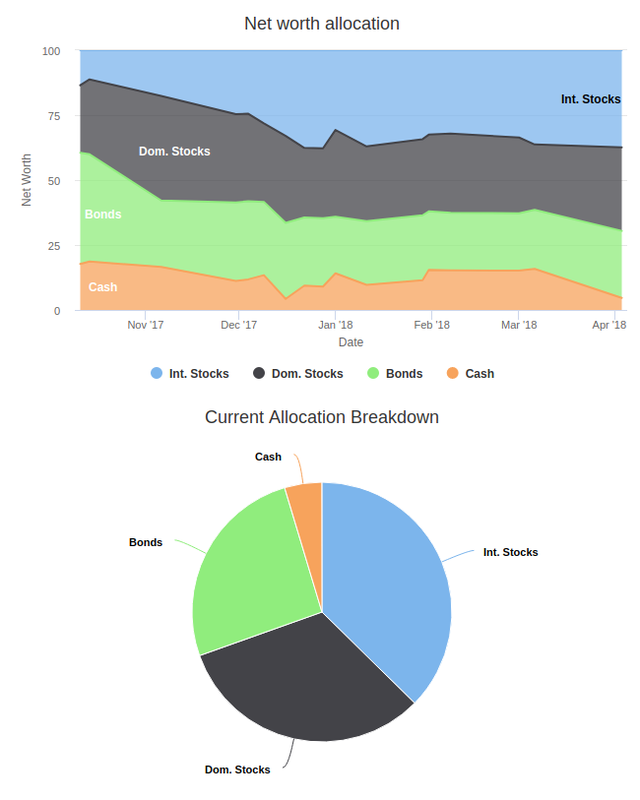 I may also add a new module to budgetwarrior to track your progress towards retirement if this is something you are interested in, but I haven't decided in what form exactly. Finally, I will also try to optimize the requests that are being done between the server and the client when run in server mode. Indeed, it currently downloads almost all the data from the server which is far from optimal. I'm happy to say that I've finally put my thesis online and updated my Publications page. I should have done that earlier but it slipped my mind, so there it is! In this thesis, we propose to use methodologies that automatically learn how to extract relevant features from images. We are especially interested in evaluating how these features compare against handcrafted features. More precisely, we are interested in the unsupervised training that is used for the Restricted Boltzmann Machine (RBM) and Convolutional RBM (CRBM) models. These models relaunched the Deep Learning interest of the last decade. During the time of this thesis, the auto-encoders approach, especially Convolutional Auto-Encoders (CAE) have been used more and more. Therefore, one objective of this thesis is also to compare the CRBM approach with the CAE approach. The scope of this work is defined by several machine learning tasks. The first one, handwritten digit recognition, is analysed to see how much the unsupervised pretraining technique introduced with the Deep Belief Network (DBN) model improves the training of neural networks. The second, detection and recognition of Sudoku in images, is evaluating the efficiency of DBN and Convolutional DBN (CDBN) models for classification of images of poor quality. Finally, features are learned fully unsupervised from images for a keyword spotting task and are compared against well-known handcrafted features. Moreover, the thesis was also oriented around a software engineering axis. Indeed, a complete machine learning framework was developed during this thesis to explore possible optimizations and possible algorithms in order to train the tested models as fast as possible. As for the current projects, I'm still currently working on the next version of budgetwarrior, but I don't have any expected release date. It will depend on much time I'm able to put to the project. Happy new year to all my dear readers! Today, I'm happy to release the version 1.2.1 of my Expression Templates Library (ETL) project. This is a minor version but with significantly better GPU support and a few new features and bug fixes so I decided to release it now. Last year, I implemented the support for the detection of advanced GPU patterns in ETL. This makes some operation significantly faster. Moreover, I've reduced a lot the numbers of device synchronization in the library. Especially, I've removed almost all synchronization from the etl-gpu-blas sub library. This means that synchronization is mostly only done when data needs to go back to the CPU. For machine learning, this means at the end of the epoch to compute the final error. This makes a HUGE difference in time, I didn't realize before that I was doing way too much synchronization. With these two changes, I've been able to attain state of the art training performance on GPU with my Deep Learning Library (DLL) project! Moreover, I've now added for random number generations on the GPU and for shuffle operations as well. I've also added a few new features recently. They were especially added to support new features in DLL. Matrices and vectors can now be normalized in order to have zero-mean and unit-variance distribution. You can also merge matrices together. For now, there is no GPU support, so this will use CPU anyway. I plan to fix that later. In addition to bias_batch_mean that I added before, I also added bias_batch_var now with the variance in place of the mean. This is mainly used for Batch Normalization in machine learning, but it may have some other usages. The GPU support has been added as well directly. And the last feature is the support for embedding and the gradients of embedding. Again this is totally related to machine learning, but can be very useful as well. I haven't add the time to develop the GPU version so far, but this will come as well. Nothing fancy on the CPU performance side, I only added vectorization for hyperbolic versions. This makes tanh much faster on CPU. I don't really know what will be in the next release. This should be the release 1.3. One possible idea would be to improve and review the support for sparse matrix which is more than poor as of now. But I'm not really motivated to work on that :P Moreover, I'm now actively working on the next release of budgetwarrior which will probably still come this month. I'm also still hesitating in switching to C++17 for the library to make it faster to compile. And also to clean some parts of the code. I would be able to remove quite some SFINAE with the new if constexpr, but I'm afraid this will make the library to difficult to use since it would need at least GCC 7 or clang 3.9.
that will results in three GPU kernels being invoked. In the CPU case, the complete expression will be executed as one CPU kernel, that is constructed with Expression Templates. Unfortunately, a CUDA kernel cannot be constructed in the same way since the CUDA compiler does not support general template metaprogramming. That's why I've implemented by using small kernels for each expression. This results in significantly performance improvement for these expressions! I have tested these new improvements in my Deep Learning Library (DLL) project (not yet merged) and it resulted in 25% faster momentum computation and 17% faster Nesterov Adam (NADAM). I'm going to continue to investigate which kernels need to be made faster for DLL and try to improve the overall performance. Currently, the GPU performance of DLL is very good for large convolutional networks, but could be improved for small fully-connected networks. Indeed, in that case, quite some time is spent outside the matrix-matrix multiplication and inside serial expressions for which GPU could be improved. Once I'm done with my optimizations, I'll probably post again on the blog with the latest results. All these new optimizations are now in the master branch of the ETL project if you want to check it out. You can access the project on Github. Long Short Term Memory (LSTM) cells into my Deep Learning Library (DLL) machine learning framework. Two weeks ago, I already merged suport for Recurrent Neural network (RNN). It's nothing fancy yet, but forward propagation of LSTM and basic Backpropagation Through Time (BPTT) are now supported. It was not really complicated to implemenet the forward pass but the backward pass is much complicated for an LSTM than for a RNN. It took me quite a long time to figure out all the gradients formulas and the documentation on that is quite scarce. For now, still only existing classification loss is supported for RNN and LSTM. As I said last time, I still plan to add support for sequence-to-sequence loss in order to be able to train models able to generate characters. However, I don't know when I'll be able to work on that. Now that I've got the code for LSTM, I should be able to implement a GRU cell and NAS cell quite easily I believe. The network is quite similar to the one used previously with an RNN, just replace rnn with lstm and that's it. It starts with LSTM layer, followed by a layer extracting the last time step and finally a dense layer with a softmax function. The network is trained with Adam for 50 epochs. You can change the activation function , the initializer for the weights and the biases and number of steps for BPTT truncation. Train the network with "Stochastic Gradient Descent"
Again, nothing fancy yet, but this example has not been optimized for performance nor for accuracy. I also made a few changes to the RNN layer. I added support for biases and improved the code as well for performance and readability. You can access the project on Github. Currently I'm working on the GPU performance again. The performance of some is still not as good as I want it to be, especially complex operation like used in Adam and Nadam. Currently, there are many calls to GPU BLAS libraries and I want to try to extract some more optimized patterns. Once it's done, I'll post more on that later on the blog. I've improved a lot the display of my Deep Learning Library (DLL). I know this is generally not the most important point in a machine learning framework, but the first impression being important. Therefore, I decided it was time to get a nicer output in the console for training networks. A network or a dataset can be displayed using the display() function. I've added a display_pretty() function to them to display it more nicely. I've also added the dll::dump_timers_nice() function to do the same for dll::dump_timers(). I've also improved the display for the results of the batches during training. Now, the display is updated every 100ms and it also displays the current estimated time until the end of the epoch. With that, the user should have a much better idea on what's going on during training, especially when training networks when the epochs are taking a long time to complete. I hope this will make the output of the machine learning framework more useful.